Session B of our training workshops in Tallinn was about using graphic environments to teach coding to younger children. We started with an overview of teaching methods and then let our teachers loose on a range ‘picture-based’ programmes that can help to teach coding. Tangible User Interfaces – physical blocks which have fuctions and can be combined to make a programme, eg Osmo, Tern, TanPro blocks, Cubelets. Graphic Interfaces, apps like Lightbot, Daisy the dinosaur, Tynker etc. 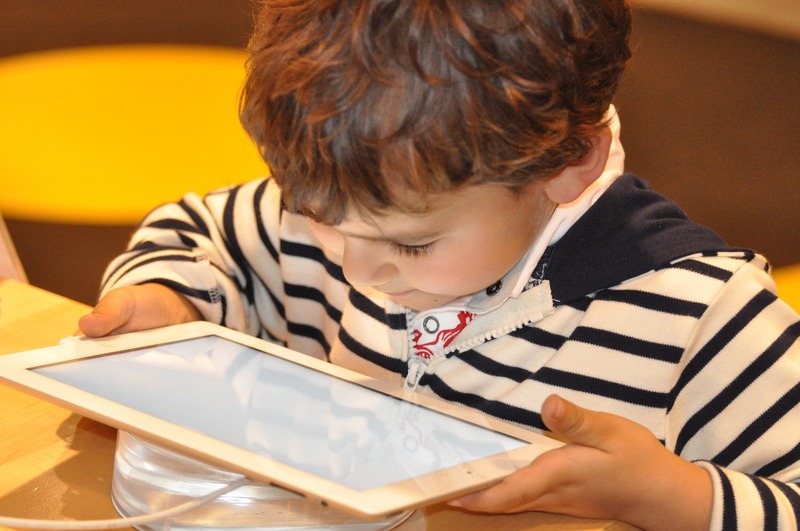 There’s no linear progression from unplugged to text based – it can always be a mix but with younger children, dexterity and linguistic ability will mean there is more emphasis on unplugged and TUI. Factors to take into account when making a choice of graphic interface options – dexterity level, intellectual capacity, reading skills, satisfaction / reward. You know your own classes so the very best thing to do is to try them out yourself. This post on the English language resources site reviews some of the best apps we know of, please add your own in the comments below.